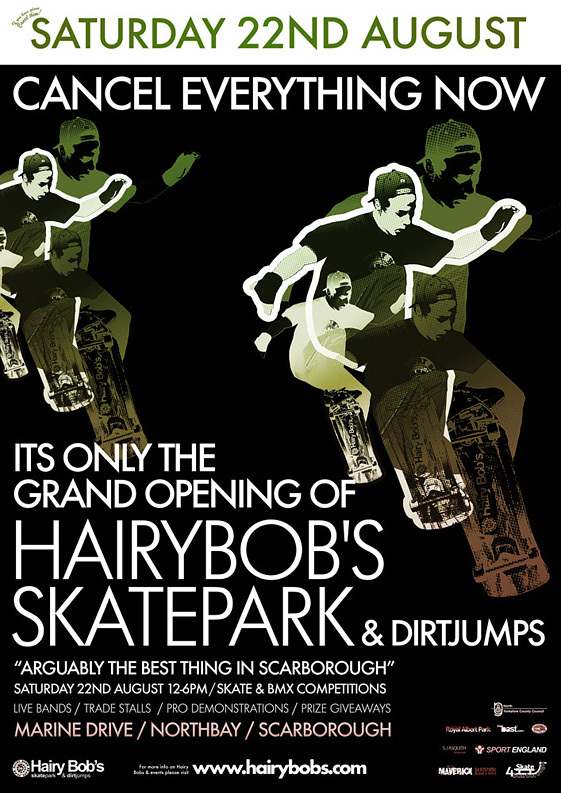 After three years of work, Hairy Bobs park is now officially open in Scarborough. The park is completely free to use and pretty amazing in all honesty. You can see images of it here. This poster was created to get people down for the opening day, which again was an amazing event with hundreds of riders and spectators turning up, pro competitions, bands, DJs and all sorts of other stuff.